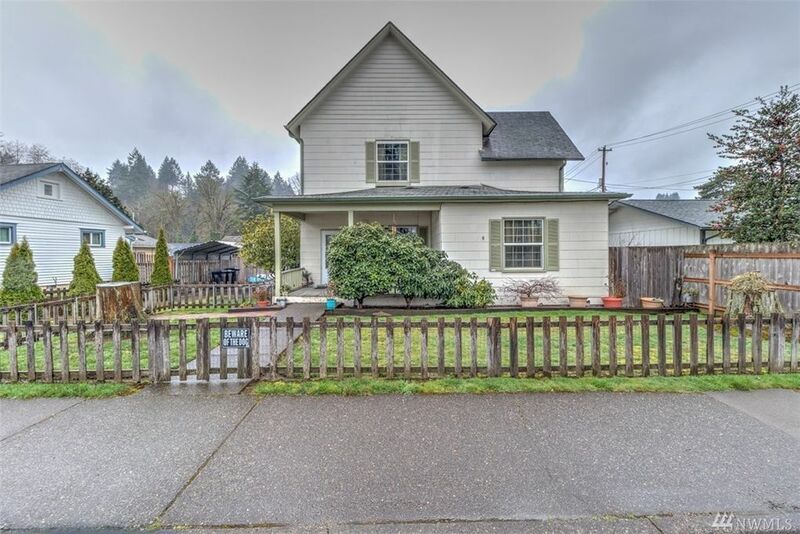 Charming turn of the century home in downtown Shelton! Original hardwood floors, wood banister, antique light fixtures, tall ceilings, French doors with glass knobs, spacious kitchen with eating area. Formal dining room with antique chandelier, reading parlor off dining room. Three bedrooms upstairs with updated bathroom! Utility room off kitchen. Detached 2-car garage is lined with cabinets providing shop area and plenty of storage. Fenced courtyard in back. Don't miss this one!